There has been a rumbling over a new cancer associated with breast implants. If you have not yet heard of implant associated anaplastic large cell lymphoma, you probably will. It is actually a cancer associated with immune cells and not actually a cancer of the breast. At first it was thought to be exceedingly rare, however, the numbers are starting to show a more common occurrence than expected and many feel that the lower numbers are due to under-reporting and lack of awareness on a worldwide scale. ALCL associated with breast implants was first described in 1997, and later in 2011 the FDA warned of the entity, thinking there was about 1 case in every 500,000 women with implants. A lot has been learned since 2011 that has a great impact on specific subgroups of women with implants and no impact on others subgroups. First and foremost, if you do not have textured breast implants, the evidence indicates you are not, and will not, be affected. This fact would indicate the process of “texturing” an implant may have some impact or causal relationship to the condition. Second, if you have ever had textured implants, whether you currently do or not, you may still be at risk, possibly to the rate of 1 in 2200. Third, it does not seem to matter whether the implant is saline or silicone filled. Fourth, it usually does not occur before 9 years of having a textured implant. What are the symptoms? The symptoms may vary from none, in the early stages, to swelling in one or both breasts. This seems very non-specific but if you have textured implants and breast swelling, you should have a mammogram or Ultrasound. If there is fluid around the implant, it can be collected and tests performed to show if the ALCL is present. Can it be treated? The answer is yes. Removal of the implant and the surrounding capsule usually takes care of the issue if done promptly. Other treatment may be necessary in advanced cases. Why are textured implants still on the market? That is a good question. Some think they are a way to avoid capsular contracture (a process of scar formation that can deform the implant and make them hard), but the evidence for this is lacking. Implants are not bad, textured implants are bad. Do not opt for textured implants..ever and if you don’t know what you have, you need to find out. If you have textured implants, have them removed with a capsule removal before the nine-year time frame. If you have textured implants and breast swelling, you need a mammogram or Ultrasound ASAP. 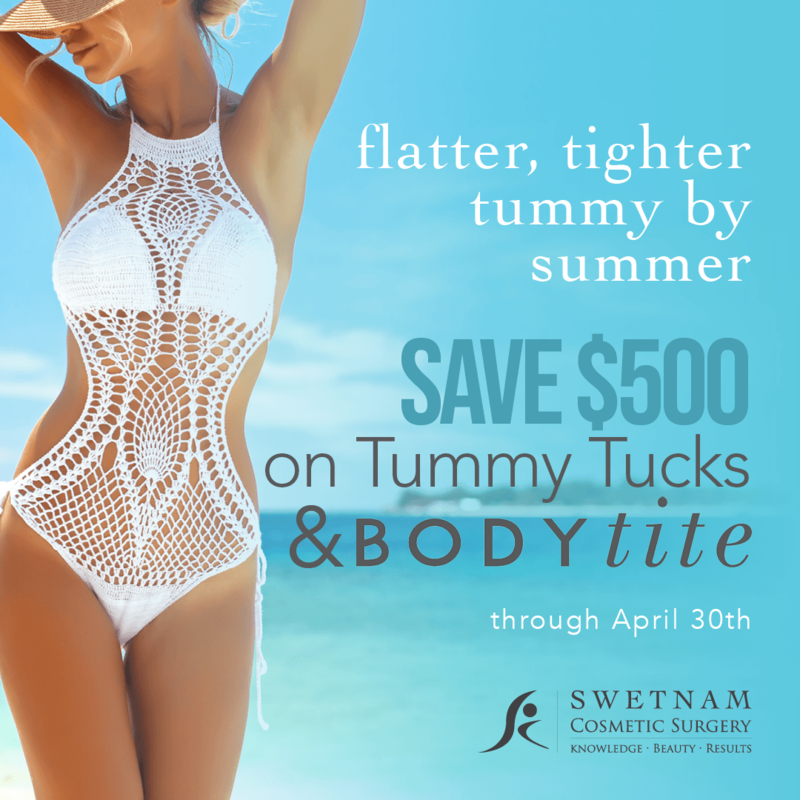 We do not use any textured implants at Swetnam Cosmetic Surgery, and never have. Come see me for any cosmetic needs as our consultations are complimentary.